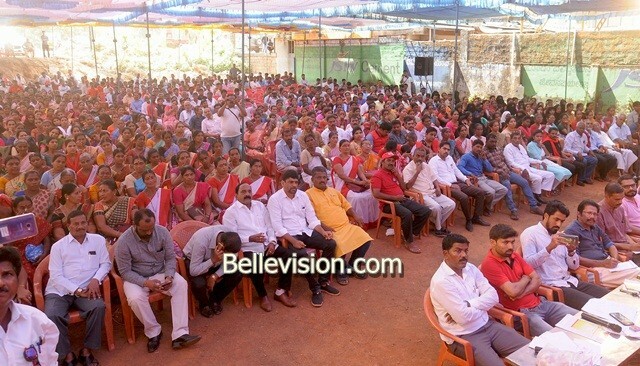 Bantwal, 31 Jan: BJP-led union government with strong RSS involvement is trying to impose fascism like in former Italy and Germany is destructive to democracy and secularism, alleged CPI national secretary and Kerala Rajya Sabha member Binoy Vishwam. 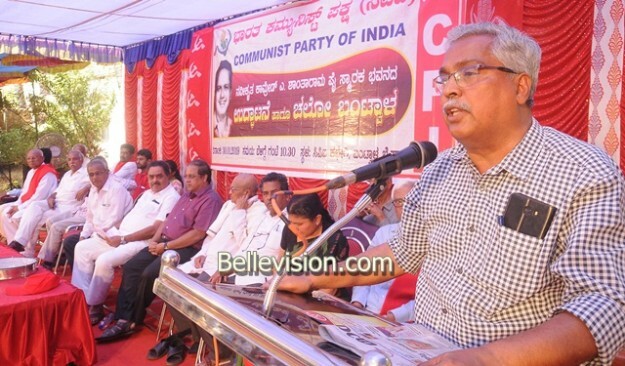 Binoy was delivering keynote addressing during protest meet under Bantwal Chalo, held at refurbished CPI office located at A Shantaram Pai Memorial Building, here, on Wednesday, January 30. The CPI office was set ablaze by miscreants recently. RSS does not have ideologies and believe in fascism uses violence to achieve its goal, alleged Binoy. The intellectuals including Gowry Lankesh, Dabolkar are killed by RSS, alleged Binoy. The foundation of PM Modi-led union government is shaking because of the verdict of voters in 5 states of northern India. It’s the most corrupt because of Rafael scam that is thousand times bigger than Bofors during UPA. Ambani and Adani are allowed access to swindle national wealth, added Binoy. Has Ayyappa Swami told you to attack CPI in the guise of Sabarimale, Is this the Hinduism? It does not say to attack. Therefore, its fake Hindutva, said Binoy. BJP is politicking in the guise of Sri Ram in north India and Ayyappa Swami in south. God is not limited to any party. We need Hinduism as envisioned by Mahatma Gandhi and not Godse’s Hindutva. BJP should read Ramayana to know about Ram, said Binoy. The former Karnataka minister Ramanath Rai called on secular and left wing party to unite in getting rid of overtures of communal forces. DCC condemns the miscreants act of setting ablaze CPI office. CPI district secretary V Kukyan presided the programme. 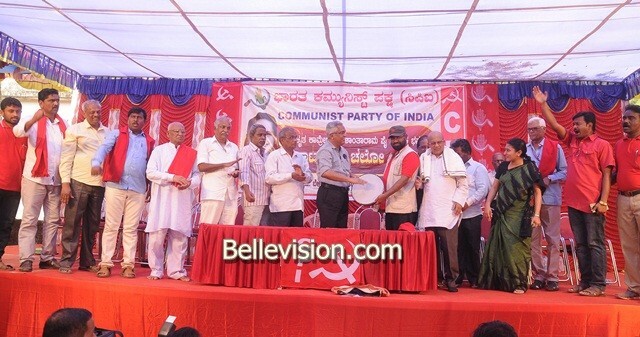 Shantaram Pai’s son Kishore Pai, CPI state secretary Sati Sundaresh, CPI national committee member Dr Siddana Gowda Patil and others were present. CPI taluk secretary B Sekar welcomed the gathering. The district joint secretary Sitaram Berinja proposed vote of thanks. 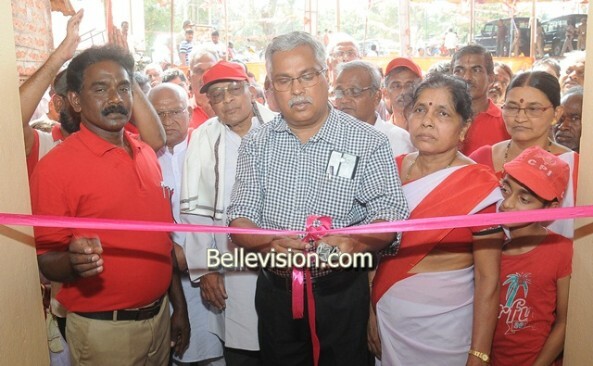 Suresh compered the programme.